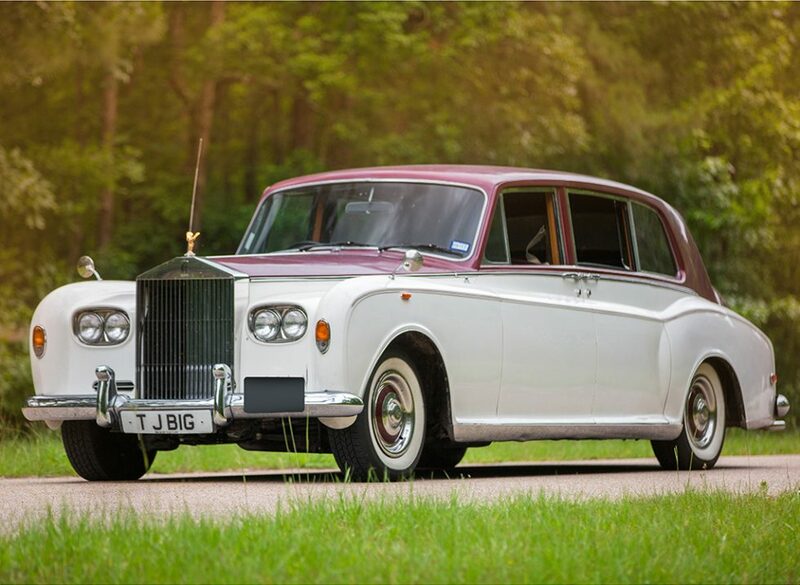 The Rolls-Royce Phantom VI was the last Rolls-Royce make with a chassis and was in production from 1968-1990. 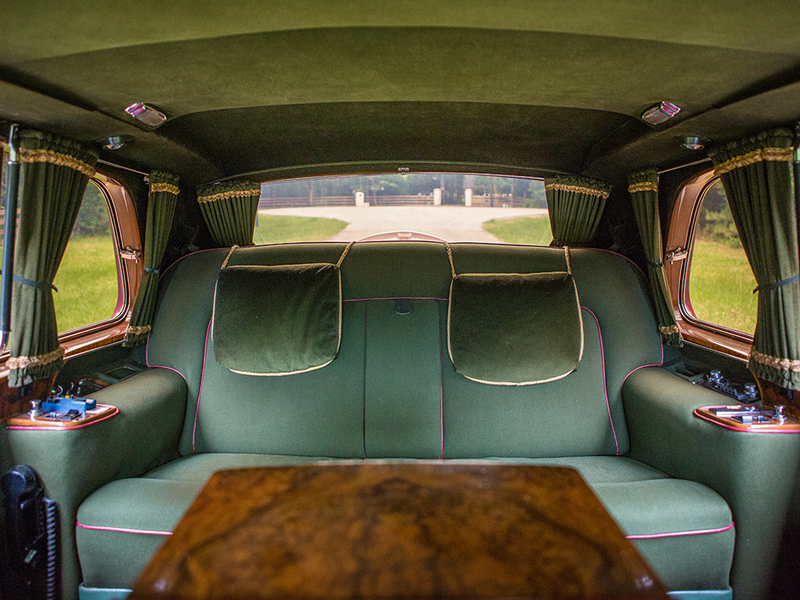 Over that extensive period just 374 were made and these cars were the preserve of royalty and the extremely rich. A Rolls-Royce Phantom VI was the official car for Queen Elizabeth II of England up until 2002. These are a spacious limousine with plenty of room in the rear passenger compartment for a bride in her gown, including one with a royal length train. 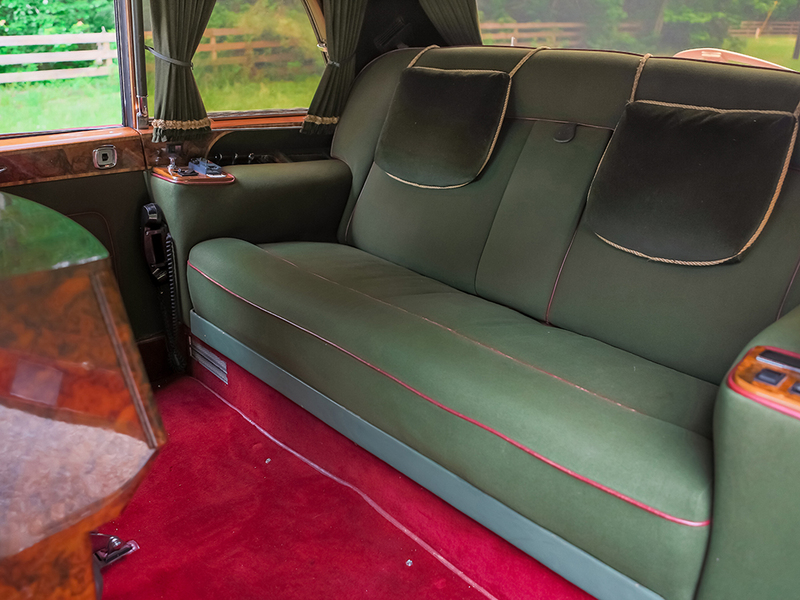 The rear passenger compartment of a Phantom VI is luxuriously lounge room spacious so they are arguably the best wedding car one could choose. As can be seen in this picture this car is fitted with a radio telephone of the seventies and eighties vintage. The Rolls-Royce Phantom VI was a development of the Rolls-Royce Phantom V with the 380 cu. 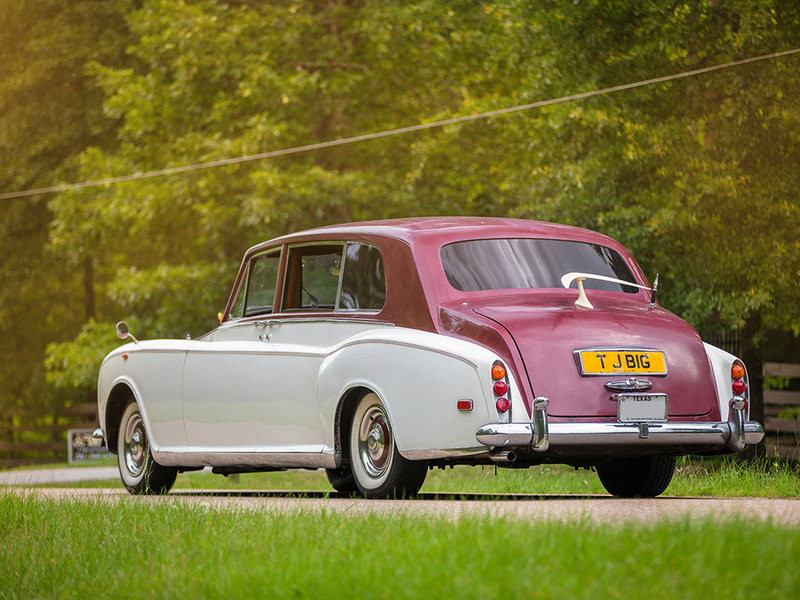 in./6.2 liter V8 engine from the Rolls-Royce Silver Shadow breathing through twin SU carburettors and mated to a four speed automatic transmission. Front suspension is by coil springs whilst there is a conventional live axle with leaf springs at the rear and brakes are drums all around. 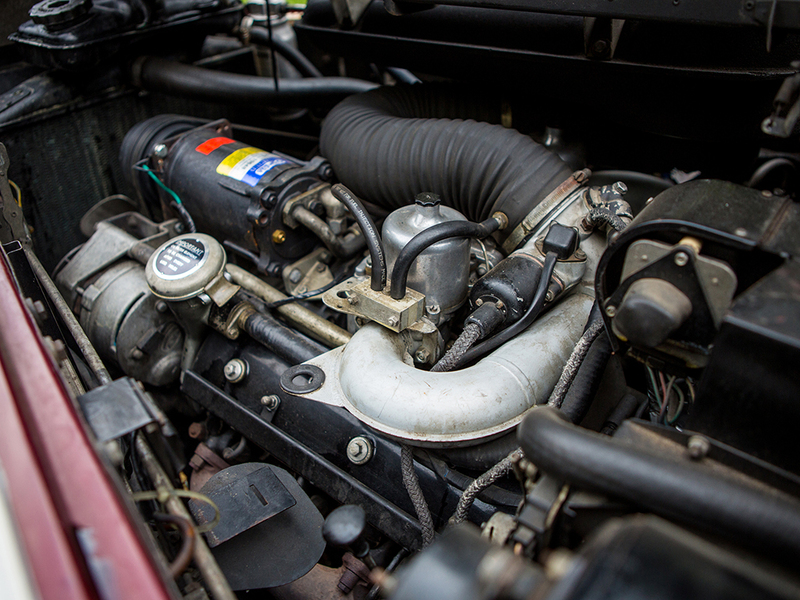 The 6.2 liter V8 engine fills the engine bay nicely. Purchasers of a Phantom VI would likely be less interested in the car’s mechanics or performance but very much interested in ride comfort and interior luxury, commodities that the Phantom VI serves up in abundant proportions in the traditional Rolls-Royce style. The Rolls-Royce Phantom VI in our photographs was apparently purchased by British talent agent Gordon Mills who was involved with a number of top level British stars including working with Engelbert Humperdinck and Tom Jones and was co-author of Tom Jones signature song “It’s not unusual” along with Les Reed. As befits a talent agent this Phantom VI is fitted with a television set and a record player for the vinyl records used at the time. 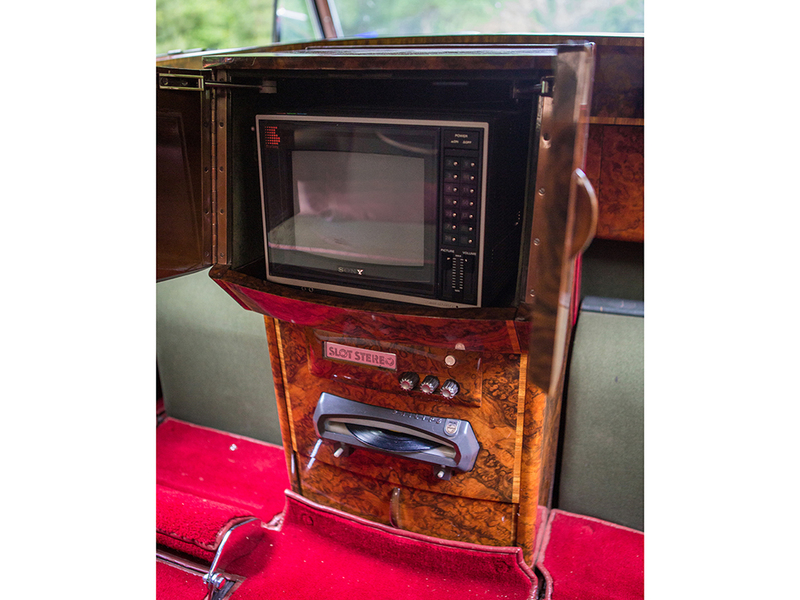 This car is fitted with the accessories a talent agent would need including a TV set, record player for vinyl records, and a period correct radio telephone. 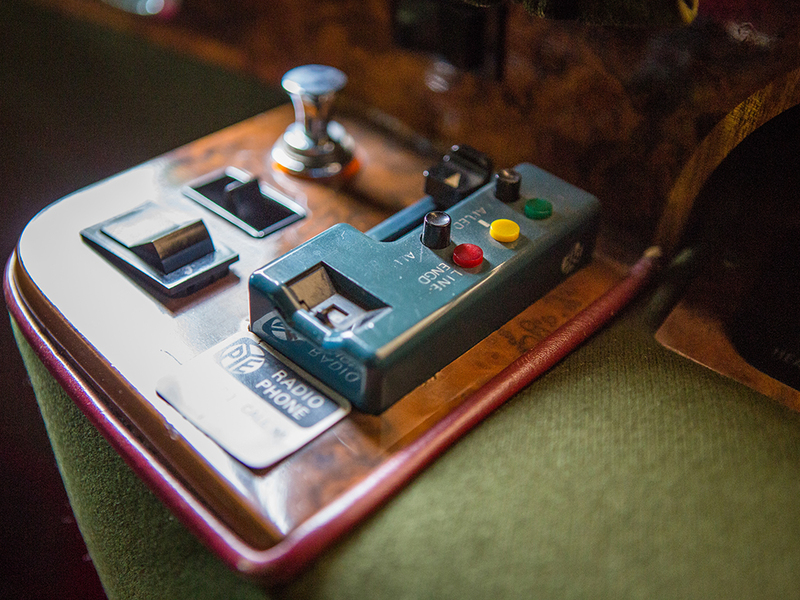 This Phantom VI is fitted with a period correct Pye radio telephone. In addition to the electronic accessories the center console in the rear accommodates full size cigars, cigarettes and lighter. In addition to all this are folding tables, footrests, wing mirrors, power windows, tinted windows (darker in back), burled wood dash and door trim, Kienzle dash clock, power double Shadowlite glass rear division window, interior courtesy lights, Clarion cassette player stereo, barometer, Angelus dash clock, window curtains, plus an additional Clarion cassette player for the rear passengers. This car is coming up for sale by RM Sotheby’s at their Santa Monica sale to be held on June 24th, 2017. This was an extraordinarily expensive automobile when new and it remains an extraordinarily luxurious automobile to this present day.